I, as well as you, have had more than a few White and Christian friends wonder where the ‘militancy’ came from, via my last column. Some expressed an attitude of either ‘disbelief’ or ‘shock’ over the fact that as people of color, we are daring to call the nation to task for her racial sins, once again. Let’s be blunt, from up front. God allows history to repeat itself in order to–hopefully–get our attention to the fact that something, a) is wrong by His standard, and; b) needs to be corrected, while there is still time on His clock…before the ‘judgment alarm’ goes off. I hasten to add that the last column was written before the recent total dropping of charges against the six Baltimore police officers involved in the death of Freddie Gray in the back of a police prisoner transport van. We have been returned–albeit in disbelief–to the sixties. America is STILL dealing with racial issues and the treatment of her Black citizens by the country in general, and law enforcement agencies in particular. For the record: There has been a Black man elected President of the United States. On the other side of the coin, no reparations have EVER been paid to Black folks for the sin of slavery in this country; no whites have EVER been brought to justice for the lynching of Blacks from the reconstruction era to the Civil Rights era, and FEW cops have gone to prison for police brutality against Black folks in general, and Black males in particular. Let’s be honest. When you have a profession where even BLACK police officers must be careful of their white counterparts on the street AFTER duty time, it would be safe to say a problem still exists, and is far from being fixed. Of course, the usual suspects are examining everything from better training, to more rigorous hiring of people of color, to hiking the education requirements of incoming police officers. Yes, we may even throw into the mix that many of us should stop committing crimes, and we need to better police ourselves. My solutions are a lot more simple, and get closer to the root of the problem. First, we–as a people–have to get back in touch with God, through his son, Jesus Christ. There was a time when we had a firm grip on God’s hand. Sadly, we have left our religion at the church, instead of having it in our hearts. That will take repentance, confession of and forsaking sin, and walking the right route in our homes…and churches. It also means that some of OUR churches need to be cleaned up! Second, we have to turn in the predators in our neighborhoods. They aren’t doing us any favors. If they won’t straighten up, then its time to let ‘John Law’ know where they are…and pick up the trash. Third–and this one is twofold–we need to re-introduce ourselves to the ballot and the lawsuit. You change police departments by changing their bosses in City Hall. Every wrongful death caused by a police officer should cost a politician their job–regardless of race, creed, color, or sexual origin. The Black vote should get back to being a worry of politicos of BOTH parties, instead of an obedient ‘lap dog’. The other part of this…the lawsuit. Every wrongful death at the hands of police SHOULD go to trial in a civil court, for a HUGE payday by the victim’s family. Wrongful death suits can BREAK the training habits of even the worst of police departments, because tax revenue WOULD be removed from their budgets to pay of the families of the victims. The ‘indirect’ accomplishment would be that the officer who pulled the trigger would wind up losing their job, as their department would be ‘pressured financially’ to correct an injustice. We hear, too often about the criminal prosecution of ‘trigger happy’ cops. We DO NOT hear about the civil prosecution of the same police officers, because the courts, politicians, media and cops want to keep this part ‘quiet’. I’ve said it before, in another column, years ago. Sue em’ down to their socks. Make the cops and their employers PAY in dollars. And, WHEN the bereaved win, they should take the payout in the form of an annuity (spreading the payments out over years–minus legal fees). There are PLENTY of lawyers who specialize in wrongful death suits. This is a VERY lucrative field of law. Yes, one of the ‘small print’ deals is to keep silent when the monies are paid. However, there are more than a few lawyers who know how to get around that little detail. No, a lot of people won’t understand our tactics, as these are not designed to be a ‘shout out’ but a ‘cash out’ series of steps. Marching and protesting are what ‘turn on’ the media, the press, the politicians and the police. However, a THINKING and VOTING Black constituency, a victim’s family that is ‘legaled up’ with a strong lawyer and deep evidence file, coupled with a renewed relationship with God will get the changes that we need…so we don’t have to come back to this issue in ten years and feel like the ‘racial replay button’ has been pushed, bringing us back to the sixties, once again. Let me end with this observation: Let’s learn the lessons. In truth, there are some whites–and even other people of color–who can easily turn their noses up at the goings on between Black folk and the police. However, the gun CAN be pointed at their families at any time. 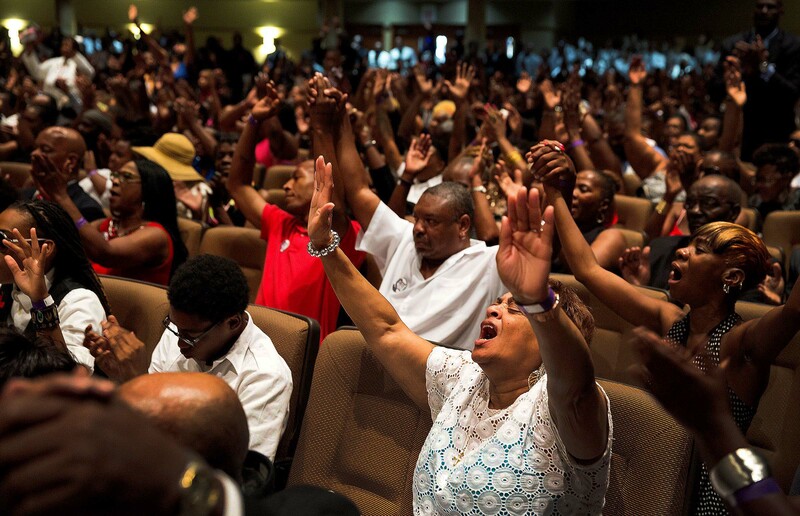 It’s not enough for Black pastors to get at their congregations about police violence; it’s time for white pastors to start getting at their congregations as well. After all, that’s where many of the cops who pull the trigger–attend. Is The First Lady Right About Who Built the White House? Hey Buddy!, I found this information for you: "THE RAMEY COMMENTARIES ™ BY MIKE RAMEY". Here is the website link: https://blackmeninamerica.com/the-ramey-commentaries-by-mike-ramey-3/. Thank you.